Sometimes you need a little flexibility. 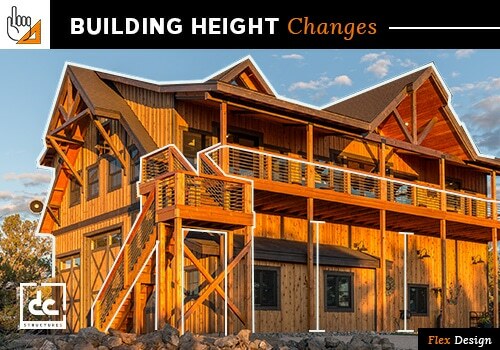 DC Structures offers an innovative line of building kits that are easily modified to suit your lifestyle needs. While we stand behind our diverse selection, we also understand that sometimes you need a little flexibility. That’s why we’ve added our new Flex Design process, so you can get the most out of your pre-engineered materials package. 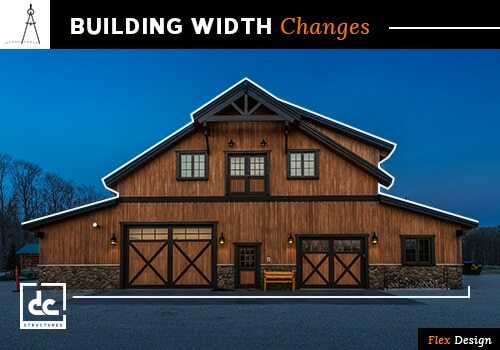 DC Structures’ kits already enjoy sweeping interiors due to their post-and-beam construction style. Upping the building height will increase this effect. If you need more storage space for your RV or room to spread out and hone your craft, taller ceilings become less of an aesthetic perk and more of a necessity. Do you consider yourself a collector? Whether it’s classic cars or outdoor equipment, we can up the ante so you definitely have enough. Are you clumsy? Do your kids need extra space to run around and burn off energy? If so, expanding your space is a great way to make indoor activities safer for all. 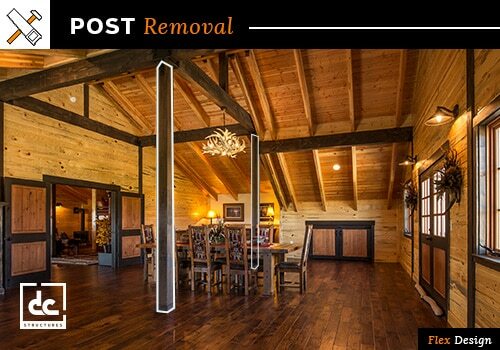 We really enjoy wide open interiors, but if you don’t think our sweeping layout goes far enough, we can remove posts to open the space further. If your structure will be used for a home business or manufacturing operation, we can give you all the space you need sans pesky post impediment. If you live in a place with heavy snowfall or are at risk of collecting debris on your roof, changing your roof pitch becomes less an option and more a necessity. Not really feeling what’s going on upstairs? 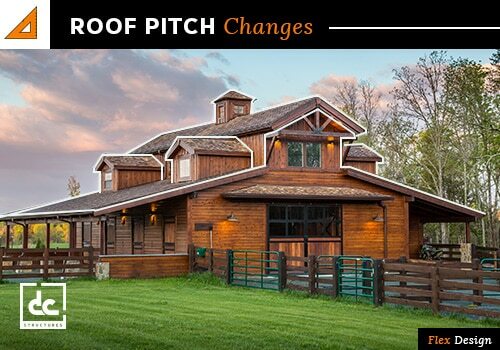 Changing your roof pitch will also change the look, feel and function of your top-level rooms. Nothing says love like a custom outdoor space. We can reignite the spark you felt with the kit that almost got away by adding a deck and/or porch. Do you tend to go for those one-of-a-kind types? 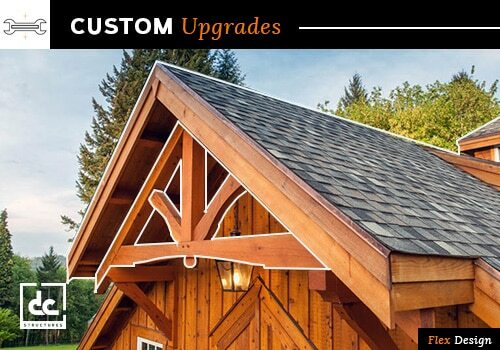 Spice up your kit with custom embellishments such as large timber trusses.